Rentals - "Our Only Business"
We specialize in quality rental properties in the Naples Florida area. If you want to rent a beautiful condominium, villa, townhouse, coach home, or single family house then we can help you find the rental property that is right for you! Annual Rentals specializes exclusively in real estate property rentals. 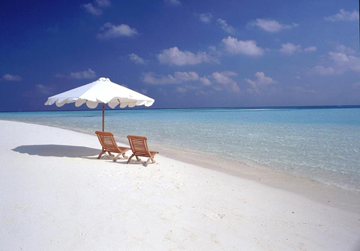 We have been in the business of real estate rentals in the Naples, Florida area for over 22 years. 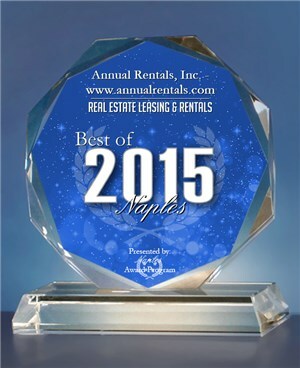 In that time, we have been recognized as 'Best of Naples' many times - We know the market, and we can find you the rental property that is going to suit you perfectly! When it comes to finding a good tenant, we offer full personalized services to landlords and investors. Learn More about our Investor Services. Renters will benefit from our in-depth knowledge of different properties and neighborhoods. Learn More about our Renter Services. We have real estate listings for annual and short term rental properties throughout the Naples, Florida area, including Bonita Springs, Estero and Fort Myers, Golden Gate, Marco Island, Sarasota/Bradenton, and of course Naples, and other nearby areas.